Olafur Eliasson working in collaboration with leading geologist Minik Rosing, is exhibiting blocks of melting ice, one in front of Tate Modern and another outside Bloomberg’s London headquarters to create the significant artwork, Ice Watch. Ice Watch will serve as a visceral reminder of the impact of climate change. 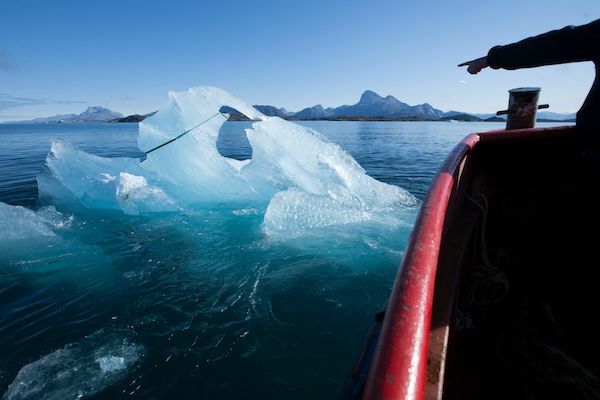 Ice Watch aims to inspire public action against climate change at this critical time. This installation follows a landmark report published by the Intergovernmental Panel on Climate Change (IPCC) on 8 October 2018, which warned that we have only 12 years to limit the worst effects of climate change. 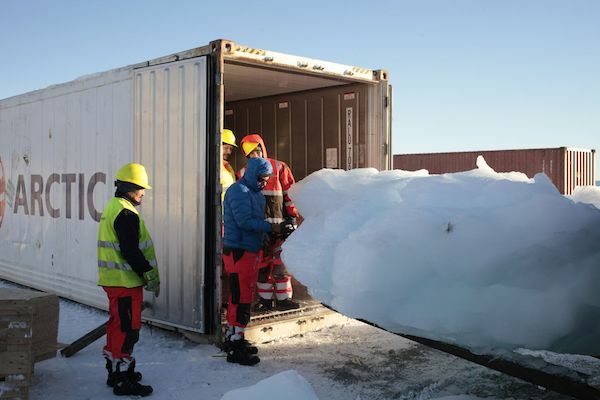 The blocks of ice were taken out of the waters of the Nuup Kangerlua fjord in Greenland where they were melting into the ocean after having been lost from the ice sheet. In London, 24 blocks will be arranged in a circular grove on Bankside outside Tate Modern, where a significant exhibition of Eliasson’s work will open in July 2019, and six additional blocks will be on display in the heart of the City of London outside Bloomberg’s European headquarters. As the ice gradually thaws, members of the public will have an opportunity to encounter the tangible effects of climate change and feeling the ice melt away. Ice Watch London is the third iteration of the Ice Watch artwork, with each instalment timed to coincide with a global climate change event. The first instalment opened in 2014 outside Copenhagen’s City Hall to mark the publication of the UN Fifth Assessment Report on Climate Change by the IPCC. In 2015, Ice Watch Paris at the Place du Panthéon accompanied the 2015 COP 21 talks that led to the Paris Climate Agreement. Ice Watch London will be Eliasson’s first temporary sculpture for the capital and builds on his history of promoting climate change awareness and sustainable energy. His Little Sun project provides portable, solar-powered lamps to families, refugees, and local entrepreneurs in off-grid communities. The lamps are especially useful in households where electricity is scarce or unavailable and priced affordably for families currently using costly and toxic kerosene for their lighting. Other critically acclaimed works include Eliasson’s 2003 Tate Modern installation The weather project, seen by more than 2 million people. Depending on weather conditions, Ice Watch is expected to be on view in London until Friday, 21 December 2018. Any remaining ice will then be taken to local community and cultural institutions as part of an extended educational programme. Studio Olafur Eliasson is partnering with Julie’s Bicycle to understand and minimise the environmental impacts produced by Ice Watch. A full carbon footprint will be produced on completion of the project. Olafur Eliasson’s art is driven by his interests in perception, movement, embodied experience, and feelings of self. Art, for him, is a crucial means for turning thinking into doing in the world. Well-known for his 2003 installation The weather project, at Tate Modern London, which was seen by over two million visitors, Eliasson works in a range of media that spans sculpture, painting, photography, film, and installation. Not limited to the confines of the museum and gallery, his practice engages the broader public sphere through architectural projects, interventions in civic space, arts education, policy-making, and issues of sustainability and climate change. In 2012, Eliasson and engineer Frederik Ottesen founded the social business Little Sun, which encourages sustainable development through sales of Little Sun solar-powered lamps and chargers (littlesun.com). Eliasson and architect Sebastian Behmann founded Studio Other Spaces, an international office for art and architecture, in Berlin in 2014 (studiootherspaces.net).